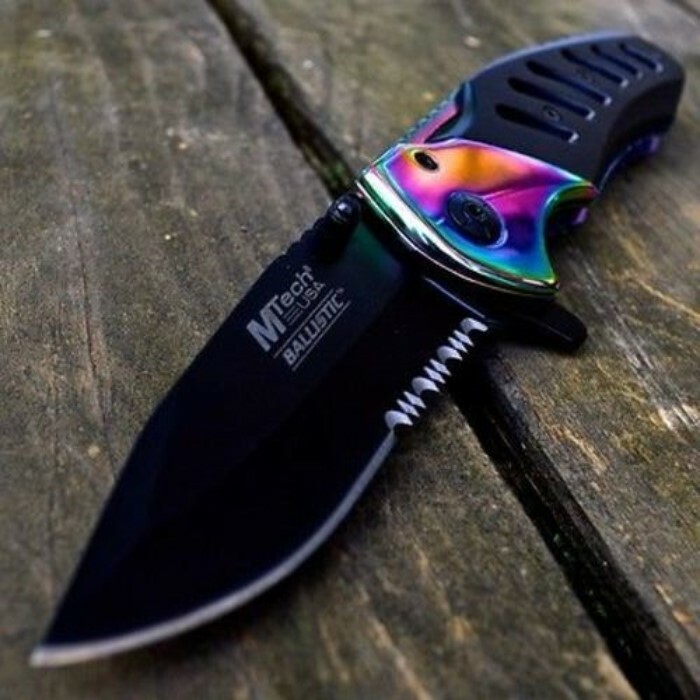 This spring assisted knife will rise in the ranks to become one of your most used blades. 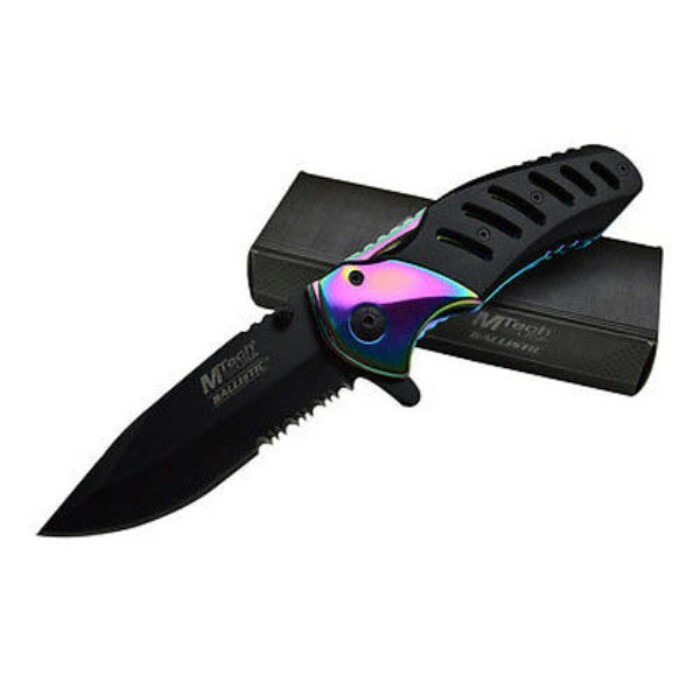 With a 4.75" overall closed length it is small enough to comfortably carry and durable enough to withstand the pressure you put on it. 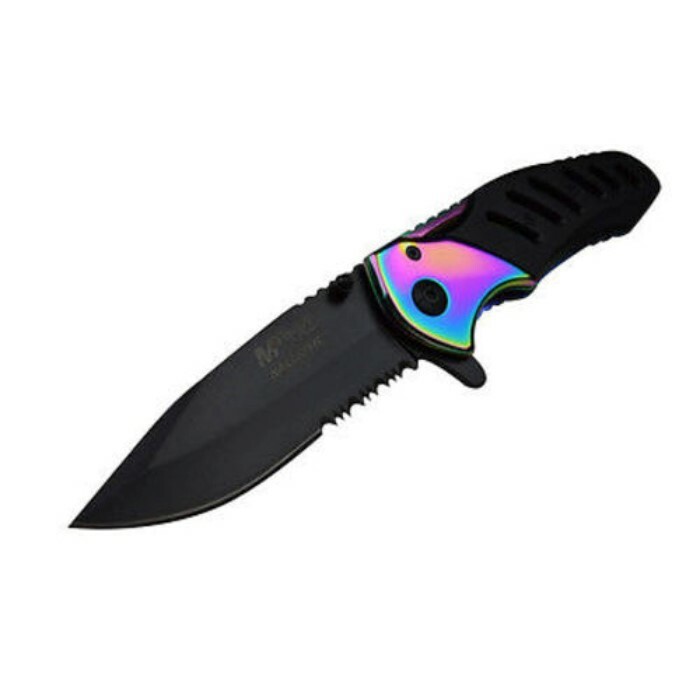 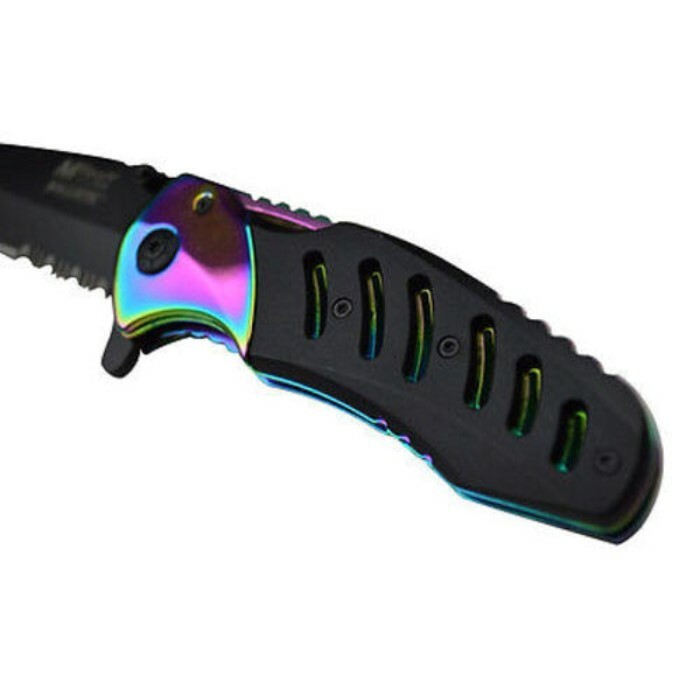 With a thick stainless steel black blade and a rainbow finished, aluminum handle and bolster, this knife screams business. 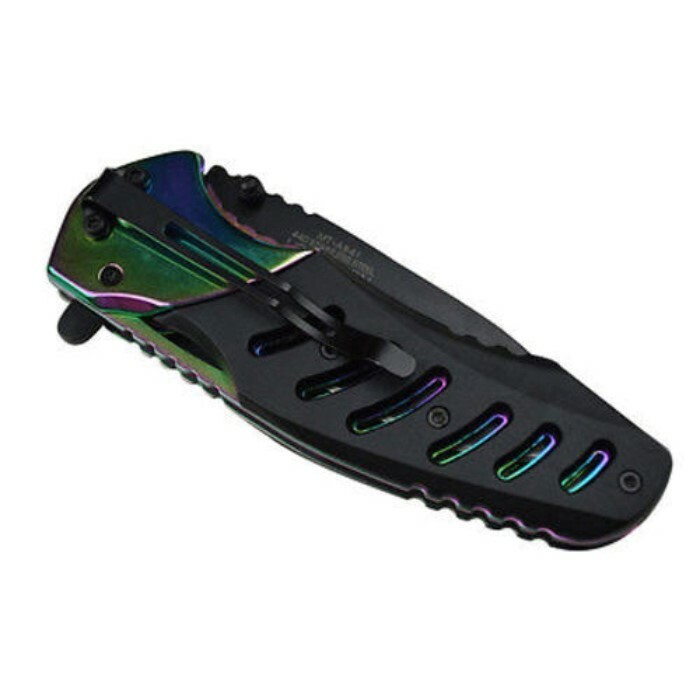 Furthermore, it includes a pocket clip to ensure quick and easy deployment.